To know Lloyd Dobler is to love him. Diane Court is about to get to know Loyd Dobler. 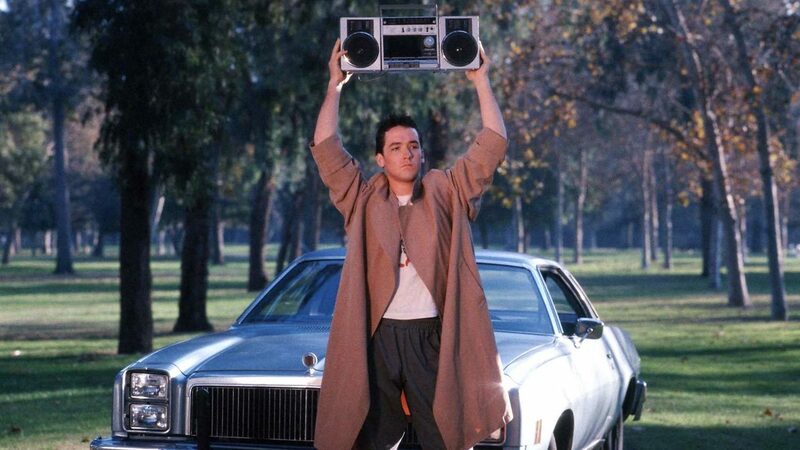 Lloyd Dobler, played by the inimitable John Cusack, is, in the eyes of many, the perfect boyfriend. In Cameron Crowe’s miraculous teen romance Say Anything…, Lloyd is depicted as a young man who is wholly devoted to the object of his affection. He thinks Diane (Ione Skye) is so great that he enthusiastically has to confer with Diane’s dad over the telephone before even talking to Diane. “She’s pretty great, isn’t she?” he asks. Throughout the film, Lloyd asserts – through word and action – that he loves Diane. He is the one who has fallen hard, and he will be the one who will have to make gestures to win her over, to turn her heart. It’s Diane who seems standoffish. He will be the one to wait for her to come around. Almost every thought of his is devoted to constructing a real, workable relationship with Diane. He is also – and this is notable – incredibly cute. 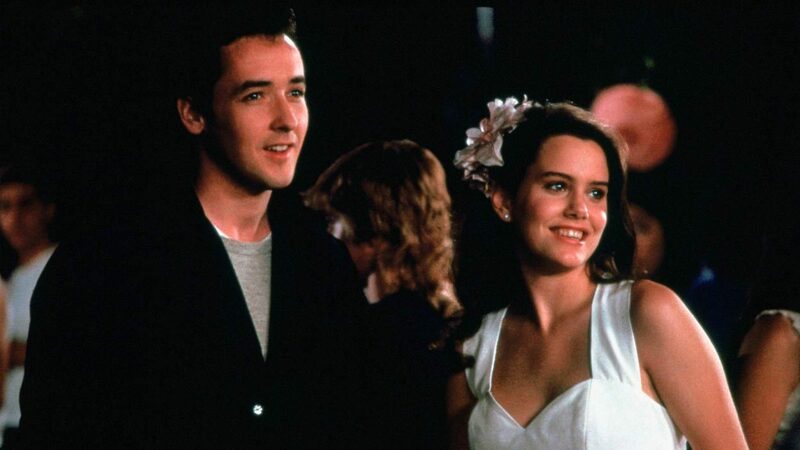 Cusack has the affable, accessible good looks of everyone’s high school crush. He’s self-effacing, shy, unguarded and able to handle himself in a party situation. He’s also naturally caring, and knows what to do in times of social crisis. When tackled by a drunk at a party, Lloyd grabs the man, wrestles him to the ground, yelling “You must chill!” But his aggression, too, is an affect. Over the years, many audiences – mostly young women – have elevated Lloyd, and even Cusack himself, into that mythical realm of “perfect boyfriend.” To hear certain audiences describe Lloyd, one would think they were talking about any one of the bland flawless rescue studs from a Nicholas Sparks novel. Lloyd is the type of hopelessly perfect movie character whose reputation has, upon reflection, almost diminished how great he actually is. Lloyd Dobler is more than a flawless rescue stud. Lloyd Dobler is all of us. The most exhilarating thing about Lloyd is his emotional recklessness. The bulk of teen romances put out by the Hollywood machine – the ones made by John Hughes, notwithstanding – are often too willing to cater to a teen boy’s tendency to be emotionally guarded and romantically averse. Romances, the incorrect assumption seems to be, are only made for young girls. Boys, meanwhile, don’t feel love for anything but action and combat. I have personally seen far too many films about young women who pursue pretty young men, wherein the young men are essentially objects to be won. And while that caters to a specific romantic fantasy, it plays more like manipulation than romance. The miracle of Say Anything… is that its young leads are whole. They are human. They are eager to love, but they don’t know how to do it quite yet. This is a movie that not only banks in emotional honesty, but i at its core about emotional honesty. This is a film about having big, complex, adult emotions for the first time – love, heartbreak, ambivalence – and struggling to develop the vocabulary to express them. At one point, Lloyd’s friends warm him that his emotional honesty, especially when it comes to courting Diane, will get him hurt. In one of the most refreshing moments in all of teen cinema, he openly throws caution to the winds. “I want to get hurt!” he says. Lloyd is eager to grow emotionally. That’s not a sentiment we get from on-screen teens. These aren’t idiot horndogs or wispy wilting flowers. These people are about openness. Diane, meanwhile, has to approach emotional honesty from the other direction. She lives with her father, the one she chose to live with following a divorce. Her father (John Mahoney) has always implored Diane to say anything. He likes to fancy himself a “cool” parent, and feels that his relationship with Diane is one of openness. Diane has always valued that openness and even becomes a little too frank at times. This relationship of openness with her father, though, has led to a young woman who may have excelled academically, and who may be poised and confident enough to take the world by storm, but who seems to be unprepared for an actual relationship with another person. As we will eventually learn about her – not to spoil anything in the film – she will have to contend with a good deal of dishonesty as well. Cameron Crowe has written one of the perfect romances of the 1980s because he sees that there is more to romance and relationships beyond that exhilarating first rush. He understands that people – especially young people – are emotionally unguarded. They approach love with a combination of caution, wariness and a disbelief that anything could possibly feel this good. He also understand that to be in love requires honesty. One cannot retain their uptight precepts of themselves when they are going to be deeply and wholly involved with another person. Say Anything… is about the emotional bloom into maturity, and that realization of honesty. And that would be enough to make Say Anything… an emotionally important feature in itself, but Crowe – luckily for us – has gilded the lily with his own particular brand of conversational patois. Crowe, it must be said, is cool. He may see himself as a grown-up version of that dorky rock journalist from Almost Famous but he knows his music, he knows his parties and he knows the way teenagers feel. Whether he likes it or not, he’s a cool, cool guy. And Crowe is at his best when people are chatting, having a beer, listening to great rock and feeling that glorious late-night high of warm post-party camaraderie. For Crowe, this is the height of the world. That star-illuminated night world or smiles and friendship is where everything makes sense. Say Anything… has that feeling almost from beginning to end. It’s baffling to think that so few other teen romances have even attempted what Say Anything… has. From time to time, we are treated to a The Spectacular Now, but too many screen teens are treated as nostalgic avatars, halcyon stand-ins for a now-cynical adult populace who embellish memories of youth with a faraway and unreal purity. Say Anything… brings that purity into the present, and lets us see Lloyd and Diane getting hurt. And, more than that, finding a way to love one another. 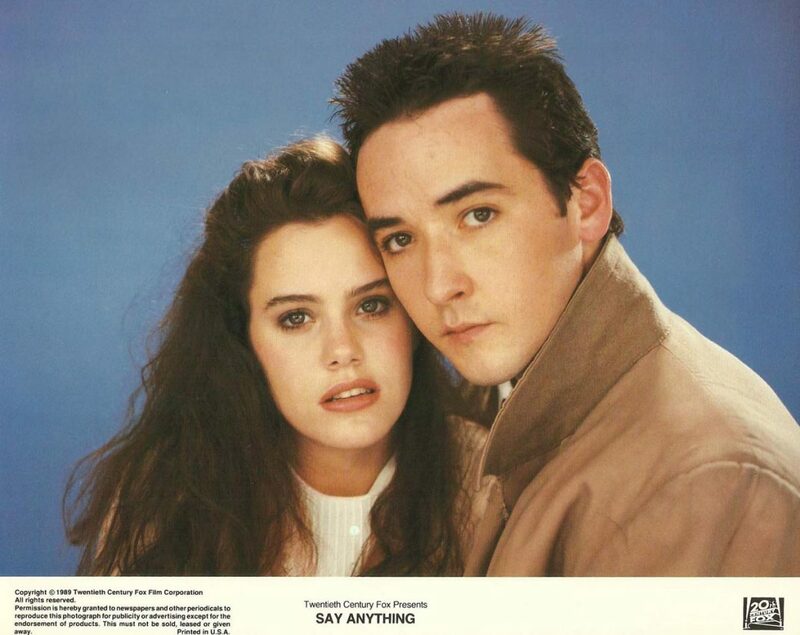 Say Anything… screens February 15th, 16th & 17th.